Lelong.my will roll out its new brand identity as part of its brand-lifting exercise over the next few months. Tan said the website would take on a new look, which will be more fun, dynamic and youthful while retaining its Malaysian identity. It will also be streamlined to cater to the needs of its buyers and sellers. 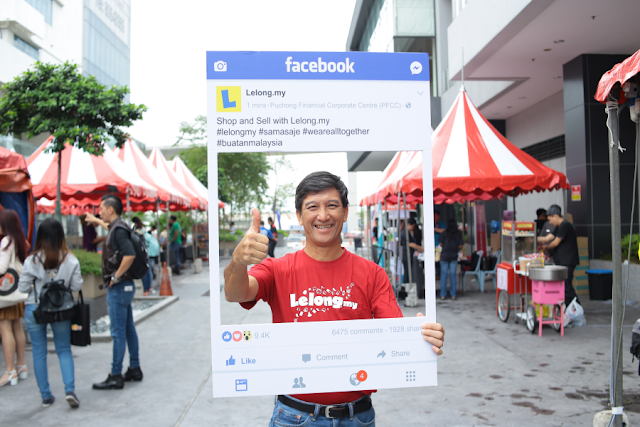 Lelong.my, a homegrown pioneer e-commerce marketplace since 1998, is embarking on an exciting brand-lifting exercise which will be a timely commemoration of its 20th anniversary next year. Kicking off the exercise is the Karnival Meriah Malaysia Day Bersama Lelong.my, a two-day carnival event held within the vicinity of Lelong.my's corporate office in Puchong. The carnival, which saw a myriad of activities including pop-up market, F&B operators, live community mural drawing by GEMPAK STARZ comic artist Zuan and art activities, enabled the public to reacquaint themselves with Lelong.my. 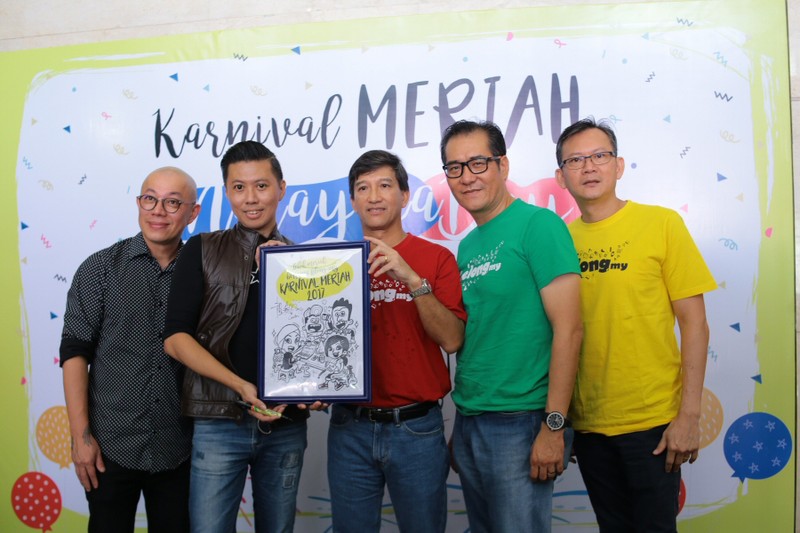 Interbase Resources Sdn Bhd managing director and co-founder Richard Tan noted on the significance of organising the Karnival Meriah Malaysia Day Bersama Lelong.my in September. "This year marks 60 years of National Day celebration on 31 August, stretching on to the Malaysia Day celebration on 16 September. Both celebrations are significant and synonymous to the identity of Lelong.my. "These celebrations reflect the existence of Malaysia and its population, and how much we have grown as a nation with such diversity and similarity. We may all be different in characteristics, looks and personalities, just like millions of products and services that you can find on Lelong.my. See beyond our differences and let's celebrate our uniqueness and diversity," he said in his welcoming speech during the carnival. "We are proud that we are homegrown and have consistently retained our position as the dominant e-commerce player in Malaysia. As a local player in e-commerce, we want to do our best to help Malaysian SMEs both big, small and very small to embark on their e-commerce journey and find their home in Lelong.my. For larger brand owners and retail chains, we have our LMall.my to serve their needs. Most importantly, we want to thank our very supportive buyers over the last 19 years, who have made Lelong.my a vibrant community today. "As we are turning 20 soon and on the verge of adulthood, we have gone through a lot on our journey of growth, and we intend to make the best of it in our quest to become the most customer centric and trusted e-commerce community in Southeast Asia," he explained. Lelong.my introduced NetPos, which is a complete payment system that allows merchants to accept payment outside of the e-commerce environment. NetPos accepts payment using Visa, MasterCard, MyDebit and SamsungPay and supports Visa PayWave and MasterCard PayPass. When asked how much is being transacted in Lelong.my, Tan revealed that in average, it is around RM30 Million online GMV monthly with another big chunk of transactions going through offline directly to the merchants. Unlike many online marketplaces which prefer to restrict the transactions to be made on the website, Lelong.my positions itself more towards an online media play for merchants to market their products or services online via its website. During the carnival, Lelong.my also announced its partnership with Kadokawa GEMPAK STARZ Sdn Bhd, which will be setting up an online store on LMall.my. Kadokawa GEMPAK STARZ is one of the largest comic publisher in Malaysia and has publications and merchandise available at major bookstore chains, convenience stores and retail stores. Kadokawa GEMPAK STARZ chief executive officer Chris Yew said the partnership with Lelong.my will introduce GEMPAK STARZ to a new group of audience who may be less familiar with its local comic artists. "Our mission is to become a leader in the creative content industry and enrich people’s lives through innovative, cutting-edge media mix strategies," he added. Tan said he was proud to have GEMPAK STARZ on board. "These comic artists are extremely talented. By supporting them, we hope we can introduce them to a new audience not just in Malaysia but throughout this region," he added. The Karnival Meriah Malaysia Day Bersama Lelong.my was supported by Lelong.my and Lmall.my's merchants including UpinIpinStore, Chaco, Nestle, Tupperware, GP Batteries, MYROBOTEDUCATION, Prado2u, (Planet Organics) LGP, Skincode by Homex, Samyang Korean Ramen, Bone Collection, meowku, Natural Batik Village Sdn Bhd, Aquacult Studio, Value Frozen Food and GEMPAK STARZ.